The Dominican Winter Series Championship kicked off last night with Estrellas Orientales taking on Toros del Este. Cincinnati Reds prospect Jose Siri was picked up by Estrellas for the playoffs – the playoff teams get two rounds to draft players from the teams that missed out on the playoffs – and on Thursday night that decision paid off in a big way. Getting the start in center field, Jose Siri racked up four hits, including two doubles on the night. But that wasn’t all, he scored two runs, stole a base, and he drove in two runs. The night got started at the plate for Jose Siri in the bottom of the third inning. With two runners on he bunted for a single, and moved up to second on a throwing error. Siri would later score in the inning on a bases loaded walk. The next inning he’d come up with the bases empty and double. That was followed up with a stolen base, but he was left stranded there. 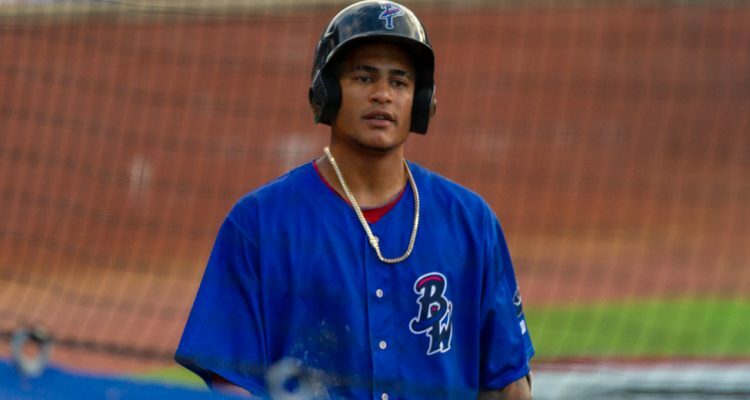 In the bottom of the fifth inning Jose Siri came to the plate with runners on the corners and singled into left field, plating a run. In his final at-bat of the night he again came up with runners on the corners. This time he doubled to center field, plating another run. 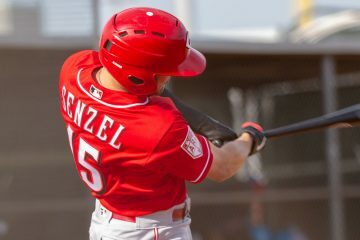 Reds trade talks held up by Nick Senzel medical concerns? Why can’t these players get time off to preserve the body? How many games has he played from all last year through this winter league? Wouldn’t you want to send some guys who struggles? Didn’t get playing time? Jose Siri doesn’t have to play. But the winter league pays better than the minor leagues do, so that never hurts. That doesn’t apply to Siri, specifically, because he’s on the 40-man roster so he makes real amounts of money while playing in the minor leagues and not the $1500-$1700 a month he would if he weren’t on the 40-man. But, let’s also address “sending guys who struggle” – the Reds don’t get to send anyone. These teams hold drafts every year and pick their own players. The Reds can’t stop guys from playing in the leagues unless there’s a health reason. Pitchers have less leeway – teams can hold them out for innings reasons. Not Doug, but Siri is like everybody in that league: he is playing in the Dominican winter league because he wants to play there. The Reds can’t make him play, nor I think prevent him from playing. This isn’t instructional league; these guys are playing for keeps. Siri missed the start of 2018 in the States with a hand/wrist injury sustained in spring training. His time in the Dominican league makes up for that. My guess is that the Reds are thrilled that he is not only playing but playing well in a very competitive spot. I was good waiting for Doug bro. Jose’s family in the Dominican is not what you would call affluent and these guys don’t get paid year round. I’m sure much of his money goes to help mom. She is a wonderful lady. When Jose had his hitting streak going on John Sansone’s dad, a restaurant owner in PA, paid to fly Jose’s mom to Ohio so she could see part of it. Hopefully he stays healthy and carries this momentum into spring training. He had a good DWL last year too but running into that wall in ST and the subsequent injury really killed his momentum. The kid has star tools if he can just hit enough. Even as a below average hitter he likely has 20 HR and 30 SB to go with his plus defense and arm in CF. He’s still the best defensive CF I’ve seen come through Dayton imo. BHam was still playing SS then. Way off the subject but I did some research yesterday, thanks in part to CBSSportsline and Baseballhq. 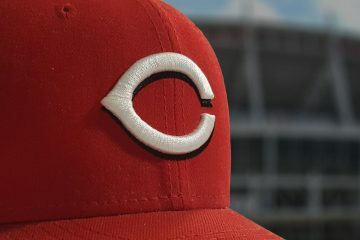 Do the Reds need a 5th SP? 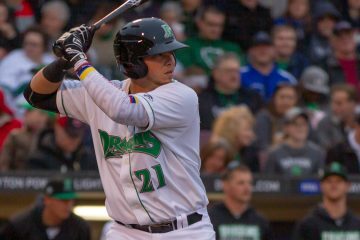 Maybe they should keep Senzel. Last week I talked about using a system similar to what the Rays did last year. Start a pitcher knowing he would not make it 5 innings. My suggestion was Reed for 2 followed by Lorenzen for two and then Mahle. Lorenzen in the middle hoping he would bat at least one time and maybe 2 AB. I decided to look at the results from the experiment in TB. My expectations are the RP would not do as well when they started because in fact they would face the meat of the order in the 1st inning. I was surprised a bit. Pretty much the same. This surprised me. Also so many different RP started. This is smart. Maybe they looked for the best matchup with the top of the lineup. Now the SP who came in to the game in the 2nd or 3rd inning (no start by a RP lasted more than 3 innings). It worked very well. When these SP came into a game in relief they did much better. Was it because they start at the bottom of the order and are allowed to get into the flow more frequently? Is it because they avoid pitching to the top of the lineup 1 inning? Is it because they know they can throw harder because they are only in the game for 3 or 4 innings? I think that Mahle’s stats in the first 3 innings would be much better if he knew he would throw 3 innings. So let these four know that everytime a 5th SP is needed they will be on call to pitch 2 or 3 innings. They should know when they are pitching in advance. Management should check out the matchups and decide who starts and who else pitches. You could add DeSclafani to the mix of this too if he doesn’t build up his stamina next year because in 2018 his ERA was 3.57 in the first 3 innings and 6.58 after that but he was fine in 2016. If you did this you would have 3 SP and you would have to prepare for the 4th and 5th SP when the need arose. Mahle needs to develop a 3rd pitch. Your stats show that moving the fastball is not enough if that’s all you got. Good post. It cuts to my contention all winter that targeting an ‘ace’ might be old school thinking. The ‘modern’ approach could be the one you described—hold onto your prospects/cash and load up the team with short stint guys. For the price of one Keuchel, you could acquire 3 above average relievers and implement the strategies you mentioned. The Reds are well positioned to implement such an approach given the surplus of #4-5 starters on the roster. Would also maximize the value of Iglesias. Honestly, I wouldn’t be against the Reds trying that. Roll with an 8 man bullpen and 4 starters, and occasionally going 9 man bullpen. It’s outside the box thinking and the small sample size of the Rays last year had some interesting/promising results. In 1990 the Reds used 7 starters. 4 were nearly F/T SP and the other 3 split time between SP and bullpen. The other most successful Reds teams of my lifetime – 1961, 1970, 1972, 1975, 1976 – did something similar. In addition to serving as part of our 3-headed monster bullpen know as the “Nasty Boys,” Norm Charlton also made several starts on the Reds last world series team. Nice post Stock. 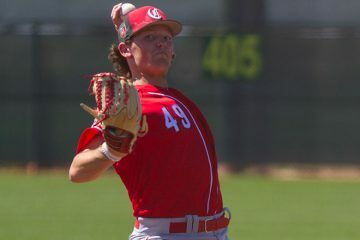 For the Reds, this would also provide a good way to continue developing some of the younger starting pitchers. Like others have mentioned, it prevents unloading really good prospects for an “ace” or giving up draft picks (and perhaps more importantly signing pool dollars) at this point of the rebuild. Add to that the consideration that in BASEBALL BETWEEN THE NUMBERS they compared the results of four man rotations with five man rotations and the four man rotation was statistically more effective. Some logic there since it means that the starts going to a fifth, ie lower quality, starter are now divided among four better starters. In the era of shorter starts, perhaps a four man rotation is better to begin with. So perhaps a four man rotation with a twist would be better than a five man rotation and a four man rotation. One would think that it would give RP regular work as too much rest is generally as bad as too little rest when it comes to effectiveness. Of course, since I am in the NO category for acquiring another pitcher, this suggestion sits well with me. MLB Network on Sirius XM this morning was discussing upgrade rankings published by Baseball America (I believe that was who they were quoting). That publication rated the Reds as having the most improved outfield and the most improved starting rotation compared to last year. Of course, the Reds had a rather low floor for comparison, but the moves the FO have made are getting some recognition. They were looking at a regular outfield of Winker/Schebler/Puig from left to right, and a rotation that added Roark and Wood while eliminating Bailey and Romano. Reds have used 4 man SP rotation successfully in the past. But those Reds teams had 4 quality SP. Not sure if 2019 will or not. Reds MGR in late 1980s preferred 4 man SP rotation. More likely Bailey and Harvey. Starting a RP make a lot of sense to me. The RP is used too few innings, so mentally he can concentrate on one/two innings as he normally does. Bringing in the SP next against the 4/6 batters help him get started and give him the Starter win. I know this is a rehash, but I like this approach. It seems to have worked for Tampabay.